We're glad to have Kate Moretti back at CLC today. 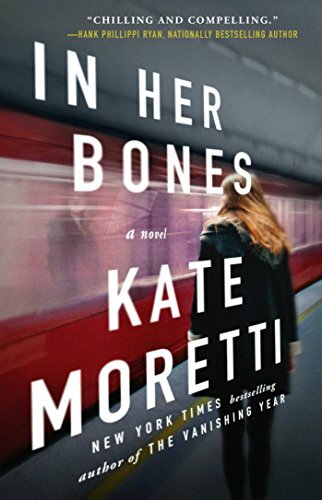 Her latest novel, In Her Bones, was published a few weeks ago. She has THREE copies for some lucky readers (either print for US or e-book worldwide)! In the past, Kate has answered theme questions for us. This time, she's talking about her writing, along with some other fun topics. Kate Moretti is the New York Times Bestselling author of four novels and a novella, including Thought I Knew You, While You Were Gone, Binds That Tie, The Vanishing Year, and Blackbird Season. 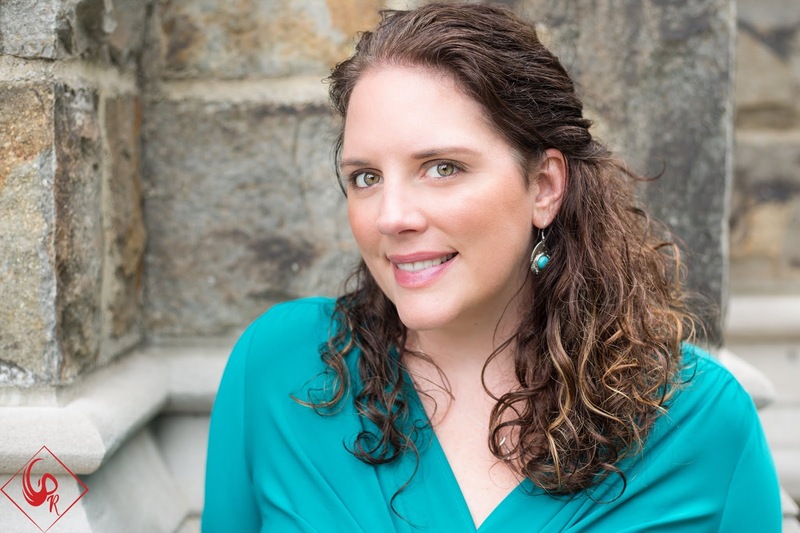 Her first novel, Thought I Knew You, was a New York Times bestseller. The Vanishing Year was a nominee in the Goodreads Choice Awards Mystery/Thriller category for 2016 and was called "chillingly satisfying" (Publisher's Weekly) with "superb" closing twists (New York Times Book Review). What is a favorite compliment you received on any of your books? I love when someone tells me they stayed up all night reading it. I strive for that "can't put it down" quality -- mostly because it's the thing I most value as a reader -- so to know when I've hit it is a true fist-pump moment for me. What is a piece of constructive reader feedback that you've received for In Her Bones? So, I haven't had any real constructive feedback yet. I mean, of course, there are people who don't like it. They've criticized Edie Beckett because she is, of course, a bit difficult to like. Some readers don't enjoy that -- which is totally fine!! I think it's just early days for IHB. I read one review a long time ago that said it's a bit slow in the beginning and that rings true with me. It's a lot to set up! I think I could have started the story a bit differently. I learn something new with each book! What inspired you to go from writing women's fiction (i.e. Thought I Knew You) to psychological thrillers? THOUGHT I KNEW YOU was my debut and it came straight from my heart, based on where I was in life at the time I wrote it. I had new babies, I was embroiled in that very all-consuming stage where life is babies, and home, and marriage, and very little else. But truly, I've always read thrillers and mysteries and I knew it would probably be my only women's fiction story. My true writer self is a suspense writer, hands down! If you could cast In Her Bones as a movie, who would play the lead roles? I have a Pinterest board! I like Margot Robbie for Edie and Joe Manganiello for Tim, Jeff Bridges for Gil Brandt. Sharon Stone for Lilith Wade. I always cast my characters as I write them. It's a cheat for getting the hair and eye color right! What is your favorite thing to eat in autumn? I make THEEEE BEST butternut squash soup. It has only 5 ingredients! Butternut squash, Cream cheese, chicken broth, Marjoram, and cayenne pepper. I make it and freeze it in batches (without the cream cheese) so I can have it all season long whenever I feel like it. Absolutely my favorite thing Fall, Winter, even spring. What is the last TV series you binge-watched? I watched a few episodes of Killing Eve and FELL IN LOVE with the female assassin. She was like my Edie Beckett times a million. So brilliant. And I adore Shameless. It didn't happen to me but the funniest story I've heard recently was during Corinne O'Flynn's IWOTY acceptance speech at Rocky Mountain Fiction Writers Colorado Gold conference. She talked about her inspiration to write and her WHY (why she writes) and being inspired by her mom who was an avid scrabble player. Every time I think of this story I crack up laughing. One night, they'd played just a bit too long....Click here and listen to the whole speech to be truly inspired BUT skip to 7 minutes to hear the funniest story I've heard in a LONG time. Thanks to Kate for visiting with us and sharing her book with our readers! Giveaway ends October 2nd at midnight EST. My eating habits really don't change during different seasons. I enjoy so many appetizing recipes and meals. Bruschetta, Tomato basil Soup, Salmon and orzo. I enjoy pumpkin and apple pies =) I loved the interview and thanks for the chance! I don't really have different eating habits for different times of year. I may eat more apple pie. I like to eat pumpkin and winter squash in the autumn time. Fall and winter is soup season for me although I will have it during summer and spring. I like the hearty vegetable soup and a family favorite, split pea with bacon. I love apples - fresh from the orchard! And apple pies and apple crisps and apple anything! Love pecan maple muffins (at Starbucks)!! I like carmel apple pie this time of year. A hot, spicy pumpkin soup for me. Turkey and dressing on Thanksgiving! I love eating baked apples with caramel sauce! Oven beef stew and homemade chicken soup. My favorite thing to eat in the Fall is apple cider donuts.